Portable appliance testing (PAT) is the term used to describe the examination of electrical appliances and equipment to ensure they are safe to use. Most electrical safety defects can be found by visual examination, but some types of defect can only be found by testing. 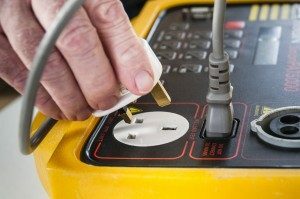 PAT testing law requires that all landlords, employers and even self-employed individuals make sure, that their portable electrical appliances are safe and suitable and used for the purposes intended. These appliances should always be maintained properly and remain in good working order. The guidelines are designed to make sure, that this equipment is kept protected and is preserved through regular maintenance, as well as inspections and periodic testing. Damage and fault can occur with all electrical equipment use, which makes it essential, that these items are tested regularly for safety.